they are original in a technique created by Rosanne Coty. Roses and leaves vibrantly lift off the canvas in maximum texture. A muted background plays with light and shadow. Iris and leaves co-mingle with a fabulous textured background. 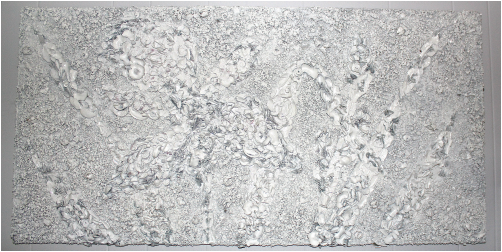 This abstract, original, textural painting is unframed, but has wrapped, finished sides. It is much smaller than most of these pieces.